The Open Data Day is an international event, in its ninth edition, celebrating open data, and its meaning for governments, business, and society all over the world. If this sounds a bit geeky, consider that many public bodies have adopted for some years now open data policies, and that the private sector is not ignoring the topic. You may also check out this short video for an introduction to the topic (and to have a peek of Tatti in the first seconds). Pibinko.org uses free/open-source software since 1994, and is actively promoting it since 2004 . In 2008 pibinko.org also started promoting open data, either by promoting specific OpenStreetMap initiatives (such as the m(‘)appare Milano) project, or by producing videos and other communication on this topic (or both). Also in 2008, the network started creating original data sets. First with the citizen science campaigns on night sky quality with BuioMetria Partecipativa (2009), then, in collaboration with various amateur astronomic observatories, with the creation of the Italian network for light pollution data collection (CORDILIT, since 2011). Our array of data grew then in 2014 with the Farma Valley Community Map, which was cited last year in a Worlb Bank report among 50 best practices of re-use of governmental data by local communities. The bottom-up place name mapping is the story which pibinko.org proposes also in the 2019 edition of the Open Data Day, adding a new venue, following the Open Data Days in Piloni (2013) and Scansano-Torniella-Castelnuovo Val di Cecina (2017). You can join us on Saturday, March 2, 2019 at 6.00PM in Tatti (Southern Tuscany), this is the part of the metalliferous hills where you can see the sun set behind the Elba Island. 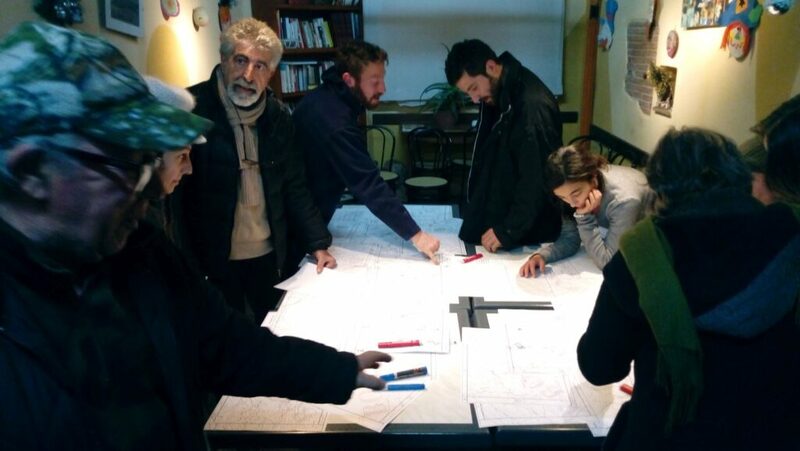 The meetup will be at the “circolino”, a small community center, where we will continue to interview and digitizing work started last December in the Third Farma Valley Winter Fest. There is a geographic link between the Farma Valley and Tatti, since the Farma creek originates in fact just North of Tatti, very close to where the locals work and operate (in addition to personal relationships between these communities, encouraging us to merge these two maps).